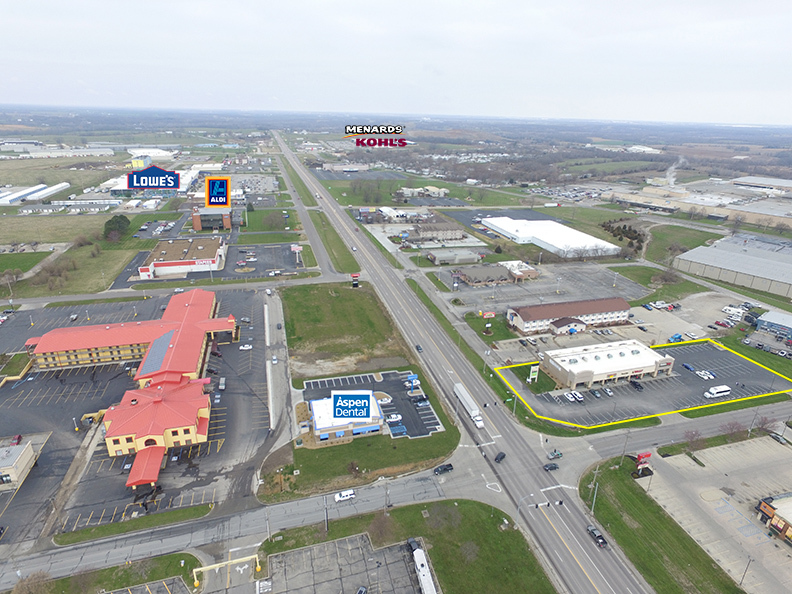 Sedalia Square is located at the main signalized intersection of Wal-Mart Supercenter. Sedalia Square is home to Goodcents Subs, Great Clips, Sally Beauty Supply, and GameStop. Adjacent to Sedalia Square is a mix of national retailers including Applebee's, AT&T, Aspen Dental, Freddy's, Panera Bread, and many more. In addition to a daily traffic count of over 28,000 cars on Broadway in front of the center, within a five mile radius of the development there are 28,713 people living in 11,861 households with an average household income of $56,282. There are 7,028 daytime employees within a one mile radius of Sedalia Square and 20,258 within a three mile radius. Our property is just a few miles from Tyson Foods' 1,600 employees and State Fair Community College, who has an enrollment of approx. 5,200 students. Best known for being home to the Missouri State Fair and its nearly 400,000 visitors each August, Sedalia is also the county seat of Pettis County and has a trade area in excess of 30,000 residents.